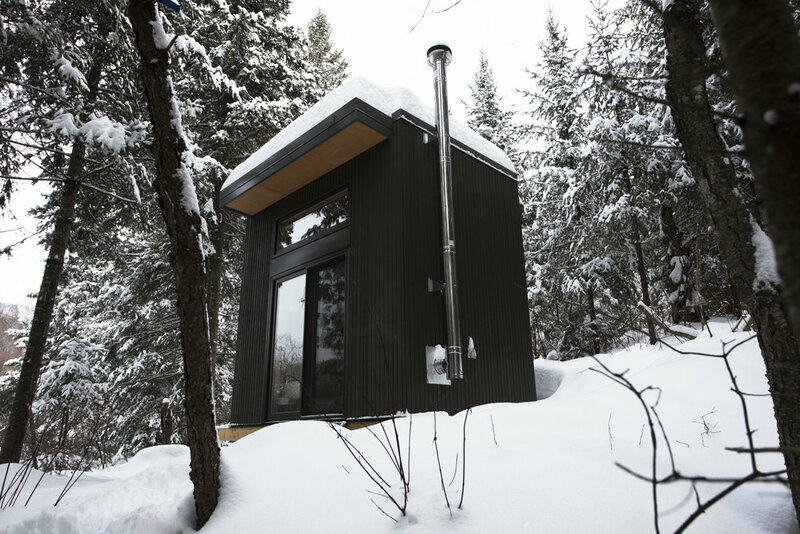 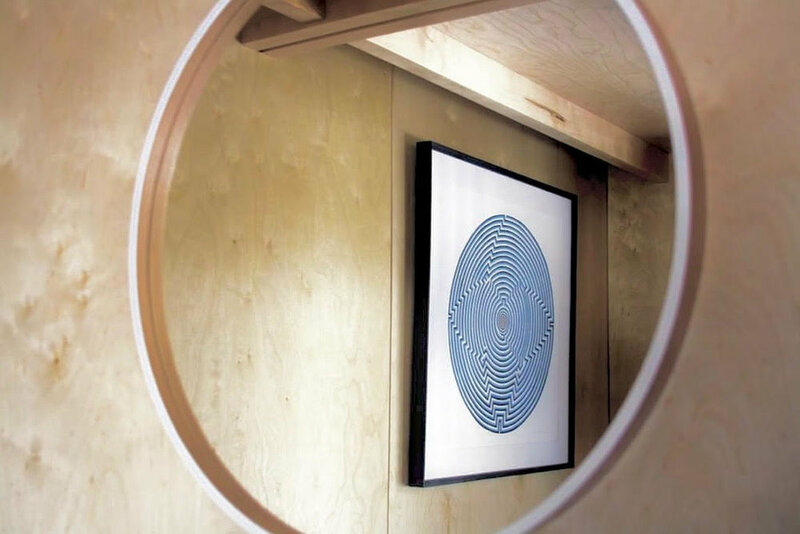 At just a mere 98 square feet, the Micro Cabin designed by LEA, Larocque Elder Architects, Architectes Inc. can stand on its own in the dense Ontario forest. 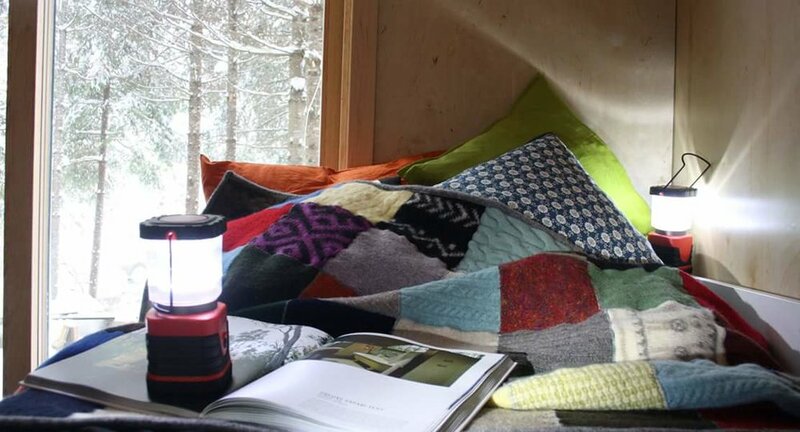 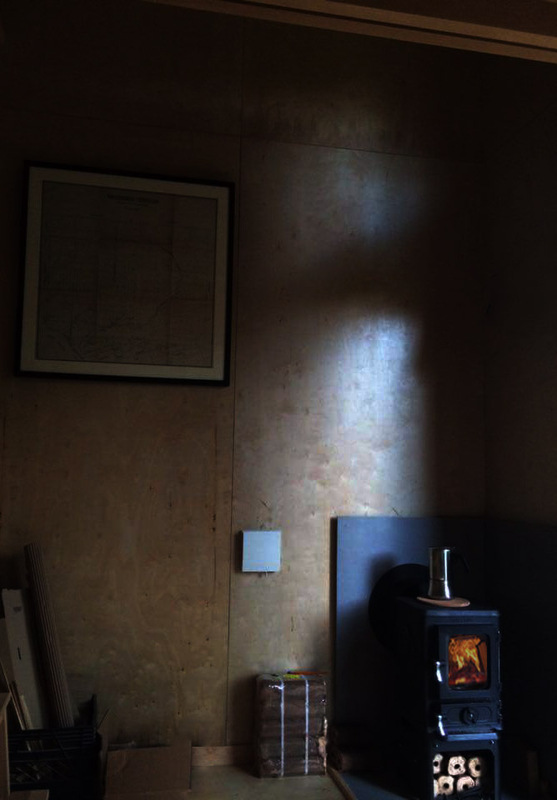 The cozy retreat operates completely off-grid, warmed by a wood-burning stove and lit by natural light, creating the most honest escape you can get from your everyday life. 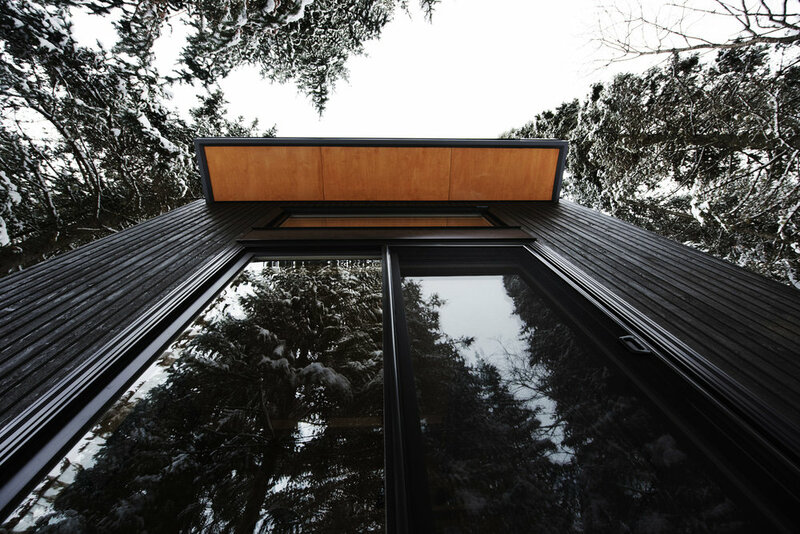 Its dark timber cladding stands out against the snowy landscape, contrasted by the interior’s natural plywood sheathing. 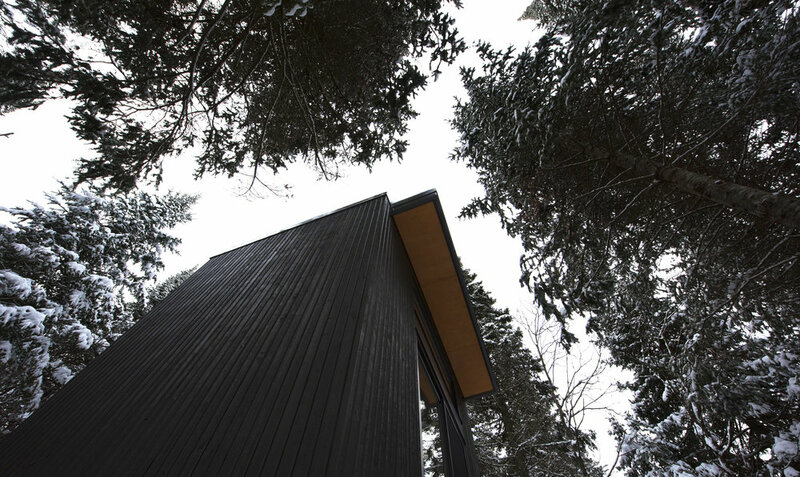 A lofted bedroom sits above the ground floor living area to make the most of its modest size.